Aluminium entrance doors are an attractive façade, with top-class security and thermal properties. 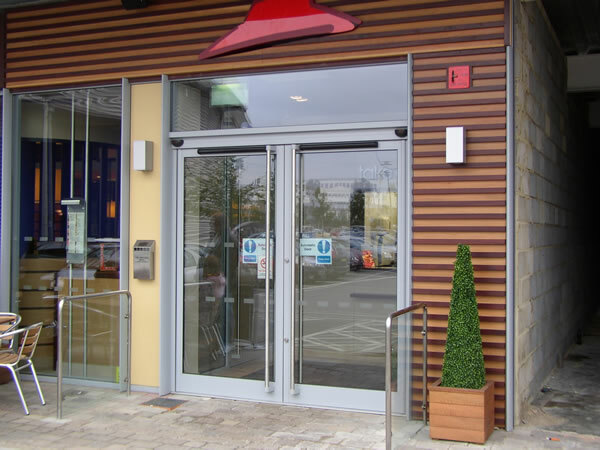 ENERCO can provide the complete package solution for projects of any size that involve aluminium structures – whether it be a shop front with manual doors to a full automatic entrance system. Delta Glaze Aluminium entrance doors are an attractive façade, while still offering top-class security and thermal properties. We also offer access control systems and a range of other doors – such as steel doors, roller shutter doors, sectional doors and high-speed doors.